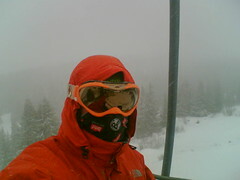 It was raining down at the chalet this morning but up on the slopes it was snowing lots. Less people on the slopes today. Had to keep covered from snow hence photo. Last runs were great i was only person on my favourite black run. 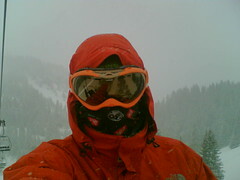 I am still rubbish in deep powder snow. I just fall over!